A host of technological features on the X5 keep you more connected than ever before. The patented Live Cockpit Professional boasts two standard 12.3-inch screens conveniently located on both the Center Display and Digital Instrument Cluster. The BMW X3 is a luxury compact crossover SUV that combines a sporty design with rugged features. 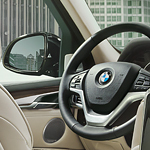 The X3 offers powerful engines with comfortable interiors and plenty of cargo space. 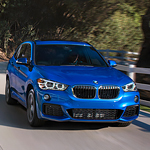 There are three styles in BMW's line of X3 sports-activity vehicles. With eight inches of clearance from the ground, the X3 gives you plenty of room to tackle any road conditions. 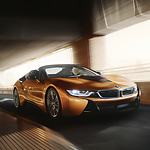 BMW's sport suspension gives you a comfortable driving experience while maintaining superior control. Whether you are driving through rain, sleet or snow, the X3 will get you safely to your next destination. While on the road, the BMW X1 uses its practical hardware to power down the road. If you're looking for a modern vehicle that can handle the conditions on various terrains, you may want to consider buying this automobile by BMW. At some point, every driver in Saint Petersburg is going to incur a breakdown due to a tire problem. It's just an unfortunate part of the incredible experience that you have as a driver. 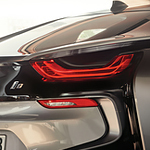 However, BMW has found a way to lessen the burden and frustration. 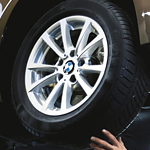 The BMW Road Hazard Tire Coverage provides you with exclusive benefits for getting a tire replacement. Whether it's a puncture due to glass, a nail, or a pothole, you're covered for one full year, from the day you take delivery of your BMW. 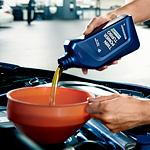 Car owners who properly care for their BMW often get the most out of it and see the lifespan of their car extended. This is often because they regularly have their vehicles serviced by trained professionals. That is why we here at Bert Smith BMW located in Saint Petersburg are excited to tell you all about the many service and maintenance capabilities of our team. At Bert Smith BMW, we're happy to introduce BMW's 2019 edition of the 8 Series Coupe, which returns to the U.S. after 20 years of absence. 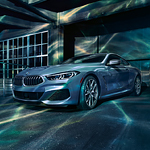 The initial release of the BMW M850i xDrive starts a new tradition of luxury sports coupes that's sure to impress buyers looking for a state of the art driving experience. As some of the most popular luxury EV vehicles, the BMW i Models are best known for their expertly crafted styling meeting up with exceptional performance. With a variety of models and trims to choose from, drivers will be able to find the perfect match for their needs and preferences. 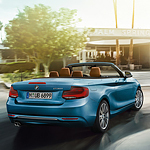 Boasting a host of impressive features, the BMW i Models are designed to impress at every turn of the road. These venerable vehicles match performance with innovative eDrive features. 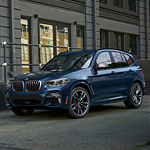 SUVs offer versatility and practicality, and they can offer so much more, especially when you go with the BMW X Series. At Bert Smith BMW, we have everything from the compact X1 to the X7, which is the biggest BMW there is.